One of our top picks in Kandy. 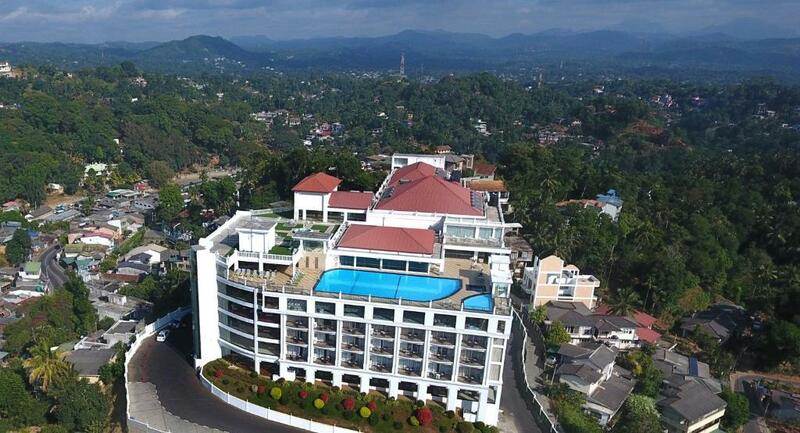 The Grand Kandyan is tucked away in Kandy only 1.2 km from Sri Dalada Maligawa. It welcomes guests with a spacious outdoor pool and complimentary WiFi access. Rooms feature large windows and fully carpeted flooring. If you feel like visiting the surroundings, check out Kandy Museum situated 1.2 km away and Bogambara Stadium, located 1.9 km away. Bandaranaike International Airport is 85 km from the hotel. Rooms are elegantly furnished and fully air-conditioned. Amenities include a private balcony, a minibar and a sofa seating area. En suite bathrooms have free toiletries and a bathtub. Refreshing workouts can be enjoyed at the fitness centre. Guests staying at The Grand Kandyan can utilize the meeting facilities and free parking spaces. It also offers soothing spa treatments and traditional massages. Sample tasty local and international meals at the buffet restaurant. Light snacks and a variety of alcoholic beverages are served at the bar.